Received another story, but it required a lot of proofreading. I have proofread it a bit, but still requires more proofreading, please have a review of Story Needs proofreading.docx in the High Priority folder. Thanks for pointing out the typo error in the video introduction, I have rectified the error and then re-uploaded the video to YouTube. Uploaded the transcript file (subtitles) to the video. Also added different pages and products links with the help of annotations. Update: Thanks for providing more feedback and sorry for repetitive typo errors. Camtasia text interface is a little difficult to handle and therefore I couldn't review it properly. Also one must save changes before publishing the video, otherwise changes will not be implemented on the final video. I acknowledge your latest feedback about this and will implement the suggestions in the coming week. Reminder: Dropbox slideshow video is also 95% ready, I have made final changes to it, but I think there should be some introductory voice-over at the start of the slideshow. Listened to the audio, which you have recorded recently. 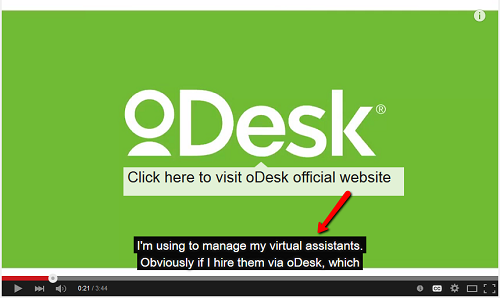 In reply to your question about hiring a new resource for proofreading of the content, I would still suggest to hire someone from the oDesk. I think we can hire someone on a fixed-price project. We can ask their price per page or price per 300 words for example. My suggested plan is to split-test two freelancers by giving them same content and then decide who is better.